The Thumper Jockey Enduro 3000 LED Head Light is designed for machines with electric start. This kit produces a huge 3000 lumens. The wire harness connects directly to the battery so there is no splicing into your existing wiring. The handlebar mounted on/off switch is easily accessible and can be mounted on either side of the bars. Each light is made from CNC machined aluminum. The lens is a spot light style glass lens that is virtually unbreakable. Thumper Jockey used high quality Cree XML LED’s and high performing drivers to deliver the brightest possible light. The handlebar mounts are strong CNC machined aluminum that clamp firmly to either 7/8" or 1 1/8" bars to keep your lights pointed forward no matter how rough the trails are. No splicing into existing wiring. CNC handlebar mounts to 7/8" and 1 1/8" handlebars. Utilizes the Cree XML LED’s. 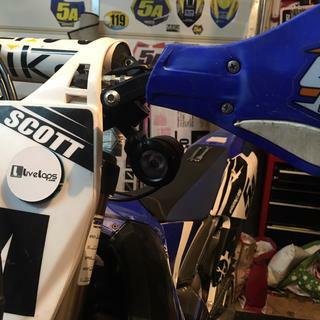 Best Supermoto headlight out there so the front number plate can stay. Use these on my KTM 350 SX-F Supermoto and absolutely love them. I even only run 1 since I live in a major metro area and it gives off more than enough light. Perfect mounting system for the handle bars so I can leave my front number plate on and not buy an entire headlight and housing. Have friends I ride with on their Supermotos too and my single light is brighter than 90% of everyone with stock front headlights. I always recommend these to my friends. Plug and play on my KTM 500. Used them on annual Colorado trip and Arkansas trip. Great lights. Very bright. No issues at all! Great product. Would highly recommend over upgrade to housing lights. Very happy with these lights. What i like the best is the mounting options. You can direct the light outward a bit to cover more area than you can by installing lights in the existing housing. This is important for night riding to get enough field of view for corners, trees, rocks or anything else along the edge of the trail. Head lamp really isnt necessary when adjusted out properly. Very bright. The on off switch is a little cheap thats my only complaint. These lites were a dream to install, and astounded me buy the amount of light they produced. The lights are bright, and come with a handlebar mounted switch. Great quality. These lights were very easy to install and are pretty bight. May want to pair it with a helmet light for race pace but if your are looking to ride some trail at night they are perfect. Very good and well built lights. Hooked right up to my bike with no problems. Lights are super bright and light up the trail perfectly. Great for summer rides when you want to cool off. Super fun to use and ride with. Installed these on a Honda 90X. Literally took minutes to install and the kit includes everything that you need for a clean look. Awesome product. A must have for night riding. These lights are amazing. Night riding is a blast! Having these mounted on each side of your handlebar lights ups significantly more ground than a light on your number plate ever will. Because of their location the light goes around and under my front fender, so I can see every little thing in front of my wheel that’s coming. They are very bright too - they light up everything 30’ - 40’ away. They are by far brighter than any factory lights my buddies have on their bikes. It’s really nice that the system comes with two plugs behind the number plate. This way I can easily take them off and carry them in my back pack when i don’t need them.They’re very light, so they don’t add very much weight at all. They are still built very rugged too. best lights for your bike at any price! These are like Baja trophy truck lights for your bike. They mount out of the way, they're lightweight, and best of all work better than anything else at a similar price point. The lighting in the dark in the woods is amazing. Good lights and a complete package. These lights were easy to install. They seem to be very good quality. Everything fit my suzuki drz 400s with no problems once I figured out how to situate them. They are very bright at a great price. Hopefully they will hold up well. I have only tested them in around my house. They really do a great job of lighting up the night. I am happy with their performance so far. The kit had everything needed to connect the lights right out of the box. What’s the diameter & depth of these lights? We are trying to fit lights into our kids’ raptor 90s fake lights. 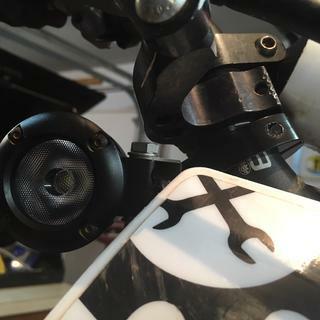 Will these lights work for street legalizing my yz for street use along with the tusk endure kit? BEST ANSWER: No they won't. 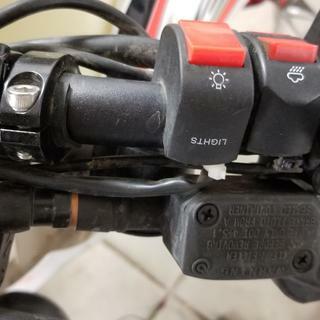 These are accessory lights that can be added in addition to DOT approved lights but you have to have the DOT lights, with high and low beam capabilities, installed before you can license an off-road motorcycle for road use. how many amps do both lights draw ? Anyone try these on a stock Yamaha TTR230? That bike doesn't have much of a stator, so I don't want the lights to drain the battery to where I can't start up the bike again. 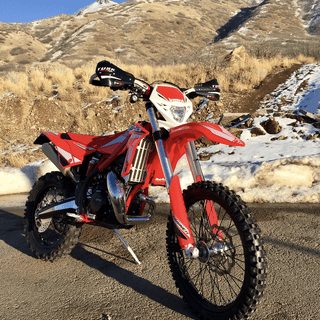 BEST ANSWER: I HAVE THEM ON MY 2018 TTR230 AND HAVE NOT SEEN ANY ISSUES. HAVE HAD THEM ON FOR A FEW MONTHS NOW. JUST TO BE SAFE MAYBE WANT TO UPGRADE TO A BETTER BATTERY THAN STOCK ONE AND INVEST IN A TRICKLE CHARGER WHEN YOU PARK THE BIKE. Hey Justin, seems this bike is an off road bike and has no turn signals or head light. But I know the Thumper Jockey Enduro 3000 headlight kit is a DEL light system which requires very little power from the stator. Extremely bright lights for off road use. If you only want to stick to off road and the only demand of the stator would be these lights, I would tend to think they would work. 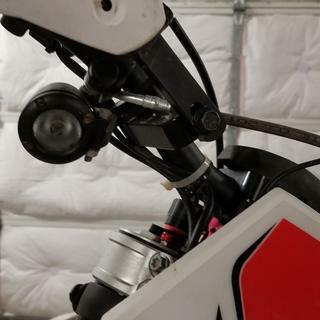 I installed mine on a DR650 straight from the battery with the on/off switch mounted on the handle bars. You only have to remember to turn off the switch when you don't need the lights. Hope this helps. BTW, these lights are street legal in my province here in Canada and I would ride the streets without them. The lights are LED so they don’t drain the battery very fast however, I don’t recommend them because if the switch gets wet it shorts out. 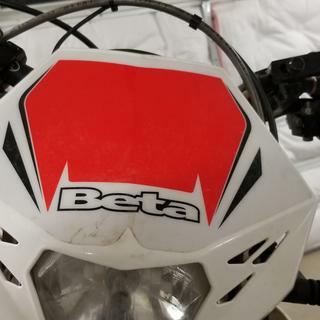 If you want a quality headlight try the Baja Designs onse and hey plug right in replacing the front number plate. The lights dont draw much, but they they can still overwhelm a weak stator. You may need a stator rewind/upgrade to be safe from a drained battery on a night ride. BEST ANSWER: Mine are mounted on the handle bars and provide great light. I am very happy with the amount of light they provide for riding off road at night. I don't have a ton of hours on them yet, but I am very happy with their performance when I have used them. The mounting kit that came with mine was specifically for the handle bars. It was tight with the brush guards and the crossbar, but everything fit. It is such an improvement over my stock headlight. You would have to turn them off if you were driving on the road against oncoming traffic. They are that bright. I feel like they light up the area right in front of the bike 25 to 50 yds rather than penetrating a long distance. The lights work great but the switch is cheap and it if gets wet it will short out because it’s not sealed. I recommend getting a quality helmet light and an enduro engineering head light. can you buy the harness separate? The harness is wired into the lights and switch with a cable back to the battery when you get them. So I don't think it would be avaiable seperate unless you could get it direct from the manufacture. I would contact Thumper Jockey direct for an answer to your question. Do you know what size stator I should have...do you know what size fly wheel is the best? BEST ANSWER: What kind of bike do you have? What is the current stator output? What (if any) is the current power consumption? 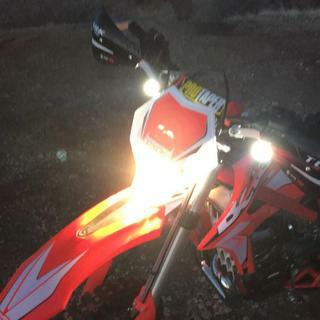 I have a similar set of lights for a 2001 ktm 520, they run straight from the battery. I just have them for intermittent use in the shade, or as an "oops, it got dark" light. 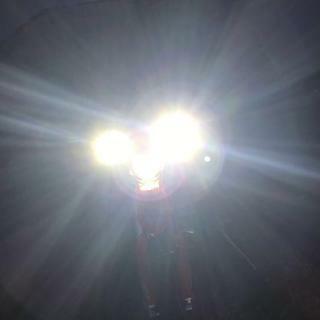 I have the thumper jockey lights on my XR650L. They work great. It really depends on your bike, and what you wanna use them for. 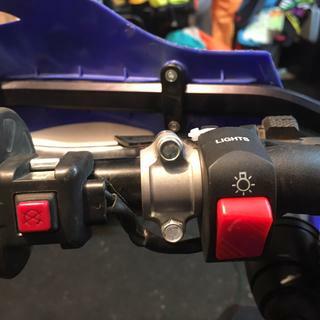 I installed these lights on my 2014 KTM 500 XCW and it was plug and play. Could not have been easier. I do not know what bike you are installing these lights on so I cannot answer your question. I called Thumper Jockey directly with a question I had as well as emailing them my question, which was answered. That is what I recommend you do. These are great lights. You'll enjoy them! Hello Eric, sorry, I am not very knowledgeable on engine stats. 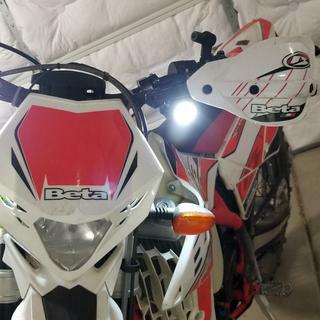 But if it can help you, I installed this light kit on a 2016 DR650SE. The kit draws very little power. BTW, if you plan to use this on the street, they are fine during the day but at night you have to turn them off when meeting traffic as they are so bright. Hope this helps you. No. I really don't. 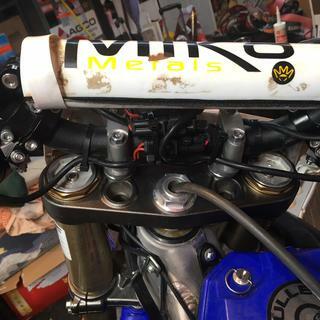 The stock charging system was used on the bikes I installed these on witout any issues. Both bikes had factory electric start. 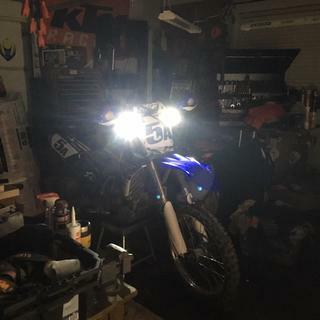 I just connected lights to stock KLR. Will this work on a 2006 Honda TRX90 ATV straight to the battery without any issues? Thx! BEST ANSWER: I'm not sure exactly what the stator output is on the machine, I wouldn't think it would be much more than 30 watts. I think that 30watts is what these lights need. If that is the case, it's probably pushing it. There is an individual that rewinds and sells aftermarket stators for that machine (among others) Do a few searches and you should find him as sharing external links here is discouraged. I just was looking at a 50 watt stator for the TRX90 06'. They are pretty darn easy to install. I would think so as these LED lights draw very little power. You just need to figure out how to mount them. hope this helps. 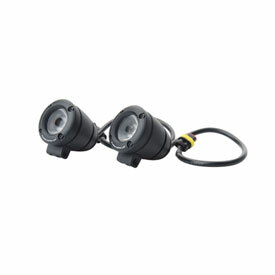 I have installed these on my 2016 DR650SE and they really light the front of the bike in the dark. Not sure I do not know the charging capacity of Trx90, it must be greater than the electrical draw of the lights so not to run battery down. Yes, They wire to the battery with a fuse that is provided in the kit along with a light switch that mounts on the handle bar. Yes, but after use, keep the battery on a trickle charger. Can you mount these light on the KLR fairing? BEST ANSWER: Yes, easily, though you'll have to drill through the fairing. The mounting hardware that comes with the kit will through-bolt. The lights are very powerful, so be careful how you aim the lights so you don't blind oncoming traffic if the bike is street-legal. The mounts are not made for the fairing but work great on the bars. They are light weight, so I imagine you could figure out some way to make them stable on the fairing. They are literally night and day better than the stock light on my KTM 250 xcw. Will these plug into the stock harness on a 17 300 XC? BEST ANSWER: Yes, just make sure you enter in your machine in the drop down boxes above the product image. BEST ANSWER: Each light will be 50 watts. How many watts are these lights each? I'm wanting to know Watts, not Lumens. They should be somewhere between 10 and 30 Watts per light. Thanks! do these mount to the handlebars instead of the front number plate? BEST ANSWER: These mount to the handlebars with 2 CNC handlebar mounts. Would this headlight be a bolt-on for my electric start 2016 250xcw? What is the maximum wattage requirement? BEST ANSWER: This is a direct bolt up to any machine with a battery for the electric start, including your 250 XC-W.